Tannin reduction – Whole house! 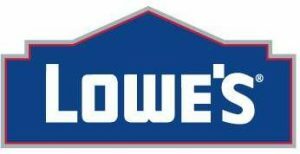 Categories: RESIDENTIAL, Tannin Filters, Water Conditioners. Does your water have a yellowish or tea-colour to it? If your answer is yes, you may have tannin in your water. Tannin s are dissolved decayed organic matter generally found in shallow well and surface waters like lakes, rain-fed streams etc. Some water sources carry tannin all year round while some may have tannin only seasonally, particularly in the spring and fall run-offs. Though not a direct health risk, tannin s impart a yellow or tea-colour to water, making it aesthetically unpleasant and reducing the efficacy of ultraviolet disinfection systems. Further, tannin s can bind iron organically; make it extremely difficult to be removed by conventional methods. Rainfresh CTFE Tannin Filter removes tannin s from all the water in the house including bathroom sinks, showers, toilets, kitchen, etc, using ion exchange technology. It works on the same principle as a water softener (but does not soften the water) and regenerates with regular softener salt. Tannin filters are designed for use with well, lake and river waters. Tannins are dissolved decayed organic matter generally found in shallow well and surface waters like lakes, rain-fed streams etc. Tannins give water a yellow or tea-colour making it aesthetically unpleasant. Though not a direct health risk, tannins can cause staining of plumbing fixtures such as toilet bowls & sinks. Tannins also reduce the efficiency of ultraviolet disinfection systems. Further, tannins can bind iron organically, making it extremely difficult to be removed by conventional methods. 2) How will a Rainfresh CTFE Tannin Filter make my water better? Rainfresh CTFE Tannin filter removes tannins and associated colour from the water. You will get clear tannin-free water in the entire house, both hot and cold water. 3) How does the CTFE Tannin Filter work? The CTFE unit works on the principle of anion exchange. The unit features a special-grade anion exchange resin. When tannin & colour molecules come into contact with this resin, they are instantly attracted & attached to the resin and an equivalent number of chloride ions are released into the water. When the removal capacity of the tannin filter is exhausted, it goes through a regeneration process using regular softener salt. The entire regeneration process is automatic and default set for 2AM. 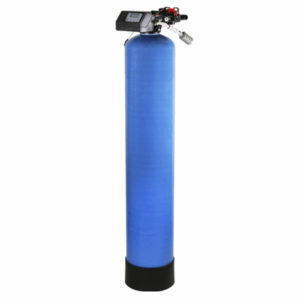 4) Is this unit the same as a water softener? No. Apart from the fact that the tannin filter uses softener salt, it does not soften the water, just like water softeners do not remove tannin. 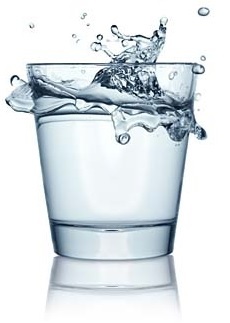 5) How do I know if I have tannin in my water? 6) Does the water need to be pre-treated before it goes to the CTFE Tannin filter? 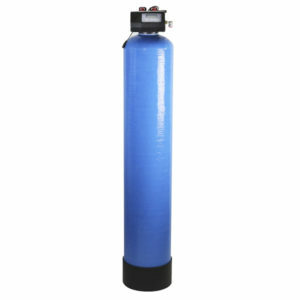 For the CTFE filter to operate and function properly, the water must be soft & free of sediment. Also if Iron, Manganese etc. are also present, they must be removed prior to the CTFE filter. Most lake and river waters are soft, so an additional softener may not be required. However it is best to get the water analyzed by Rainfresh to be sure. A Rainfresh sediment filter must be installed in any case before water enters the CTFE filter. 7) Where do I install the Rainfresh CTFE Tannin Filter? The CTFE tannin filter is designed for installation just after the pressure tank before the plumbing line divides into hot and cold. This way ALL the water in the house gets treated. 8) How can I easily install the CTFE filter? You can buy (or order) the Rainfresh CKS solder-less connector kit that does not require you to solder pipes. It can also be used on PEX and CPVC pipes and is extremely easy to use. Of course, you can plumb in the unit as well, following local codes and regulations. 9) What do I need to do after the CTFE filter is installed? The only thing you need to do is to add softener salt. Check the salt level every month and add more if necessary. There’s nothing else you need to do. 10) Does the CTFE filter recharge based on time or water usage? 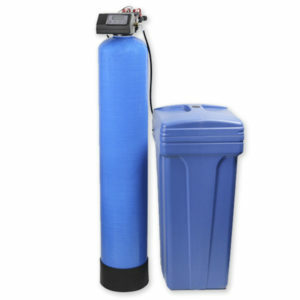 Unlike water softeners, tannin filters must regenerate at least once every 3-4 days to prevent the tannin molecules from fouling up the resin inside the unit. Therefore, salt usage is more compared to a water softener. 11) How much water does each recharge use? The default settings use as much water as a load of laundry. 12) What kind of salt should I use? A clean pellet or nugget style softener salt is recommended. Do not use road salt or any other type of salt. 13) Can I use Potassium Salt? Yes you can use Potassium salt with the Rainfresh CTFE unit, although it is not as efficient as Sodium salt. You will need to make some programming changes to the unit. Call Rainfresh for details. 14) Will I drink all the salt that I put in the unit? It is a common misconception that the salt goes into the water. Salt is only used to recharge the tannin resin with chloride ions after the resin capacity has been exhausted. Following this salt-recharge, the tannin filter undergoes a rinse cycle during which any left-over salt is discharged to drain. However, the treated water does have higher levels of chloride. 15) Will salt from the tannin filter unit harm my septic system? Many industry studies have concluded that softener salt do not have adverse effects on septic systems. 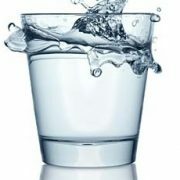 For more information, you may call the Canadian Water Quality Association. 16) Does the CTFE Filter use electricity? 17) What happens if there is a power outage? The unit will retain the time and day for 48 hours. The rest of the programmed settings are stored in a non-volatile memory and will not be lost during a power failure. 18) What is the warranty? 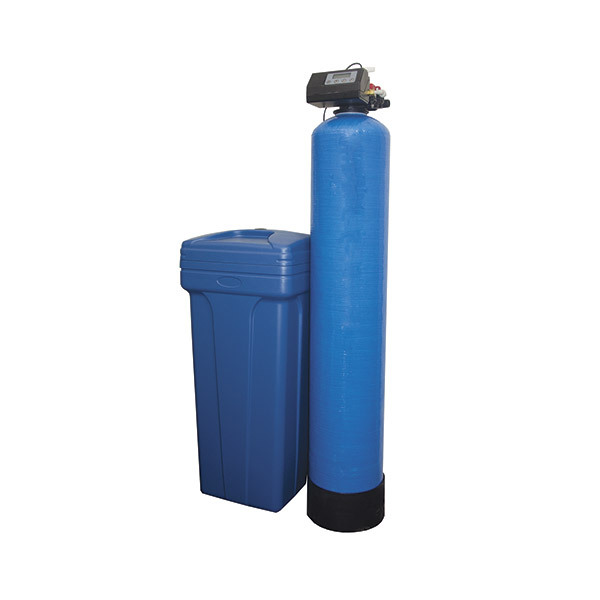 Tannin removal filter (CTFE948) is a whole house ion exchange system designed to remove tannin from well, lake or river water. Tannin[/ninja-popup]s are dissolved decayed organic matter generally found in shallow well and surface waters like lakes, rain-fed streams etc. Some water sources carry tannin all year round while some may have tannin only seasonally, particularly in the spring and fall run-offs. Though not a direct health risk, tannin s impart a yellow or tea-colour to water, making it aesthetically unpleasant and reducing the efficacy of ultraviolet disinfection systems. Further, tannin s can bind iron organically; make it extremely difficult to be removed by conventional methods. Rainfresh CTFE Tannin Removal Filter removes tannin s from all the water in the house including bathroom sinks, showers, toilets, kitchen, etc, using ion exchange technology. It works on the same principle as a water softener (but does not soften the water) and regenerates with regular softener salt. Tannin filters are designed for use with well, lake and river waters. Tannin s are natural organic materials (humic and fulvic acids) formed primarily by the decomposition of plants. In surface waters (lakes, rivers) and shallow wells, tannin s dissolve in the water causing a light yellow to dark tea colour in the water. (Tea and wine have tannic acids and thus the dark colour). Tannin s also stain plumbing fixtures such as bath tubs and toilet sinks, just like iron does. Tannin s are not considered a health risk, although most people would prefer not to drink water that has a yellow or tea colour to it. Tannin s also severely limit the performance of UV disinfection systems and must be removed if UV treatment is required.